Replacement: None. We are no longer carrying this retail kit in our catalog. This page is for reference only. 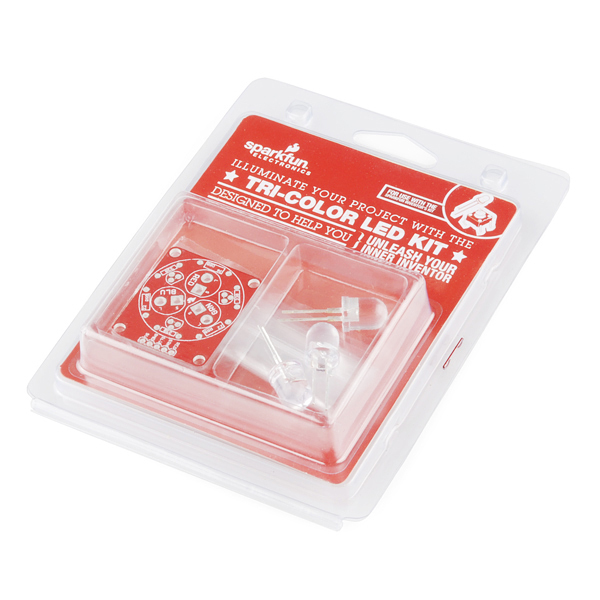 This is a simple kit that allows the use of very large, very bright, 10mm red/green/blue LEDs. We cannot begin to describe how bright these are when fully illuminated! 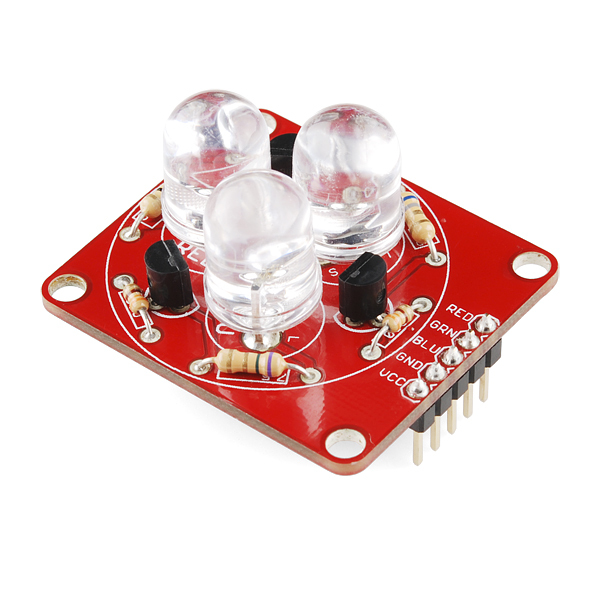 After assembling the kit, you can control the LEDs via the RGB pins. 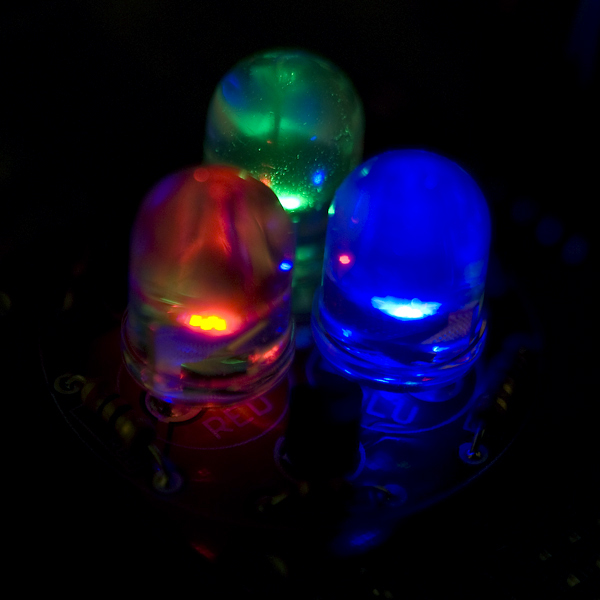 By pulse-width-modulating the pins any color can be created by mixing different amounts of red, green, and blue. Running from a 5V source, these LEDs are painfully bright. 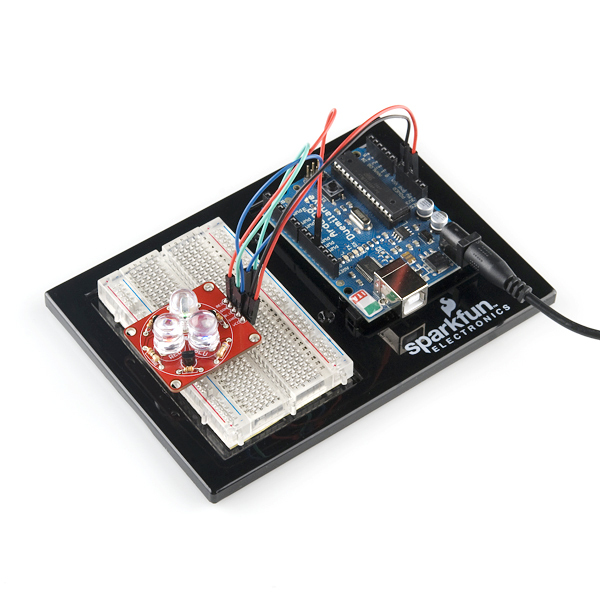 This board is designed to run off 5V and put the max 80mA through each LED. 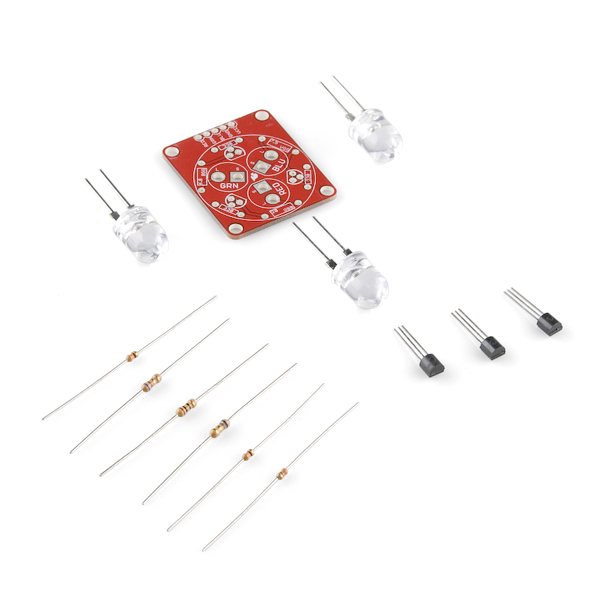 Be sure to pay attention to the different resistor values and LED colors. 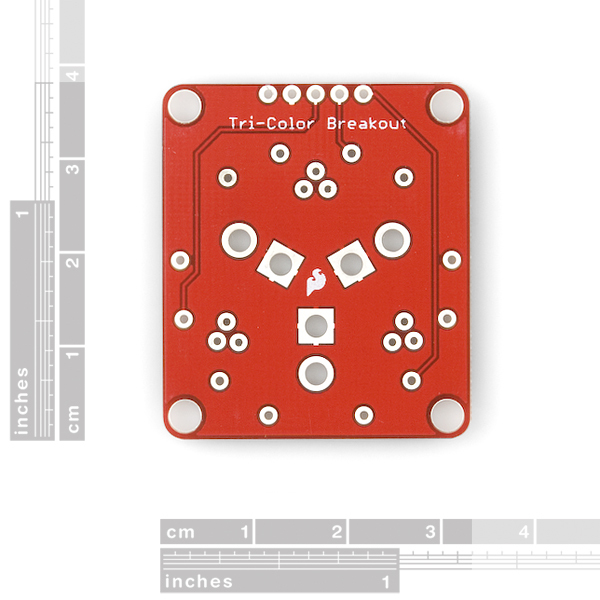 Each is marked clearly on the PCB. 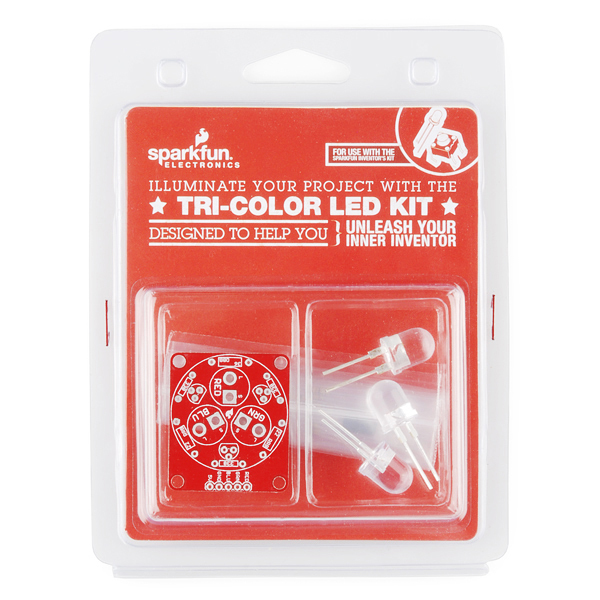 You will need a coin cell battery or multimeter to briefly illuminate the LEDs to tell what color they are before assembly. These come in fancy clamshell packaging meant for our distributors that need it. Regular customers are welcome to order, but we want to limit the amount of extra packaging finding its way into the trash heap. 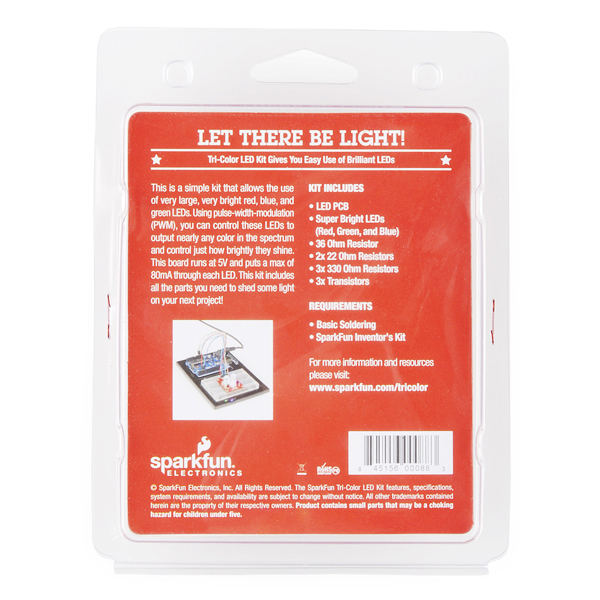 The version without the extra plastic can be found in the related items below. 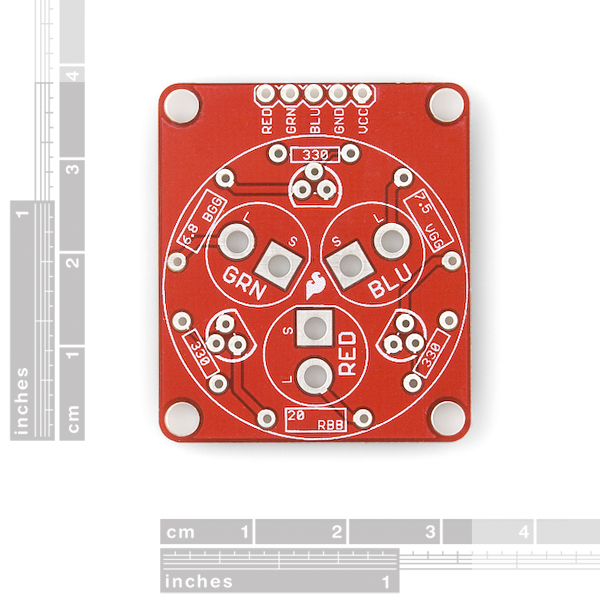 Note: Although this board is pictured with pin headers, pin headers are not included in this kit. If you need some, however, they can be found in the related items below. Skill Level: Rookie - The number of pins increases, and you will have to determine polarity of components and some of the components might be a bit trickier or close together. You might need solder wick or flux.